Agility, as defined by the National Strength and Conditioning Association, is the ability to change directions and gain speed without losing motor control. It is directly related to speed, balance and coordination skills. 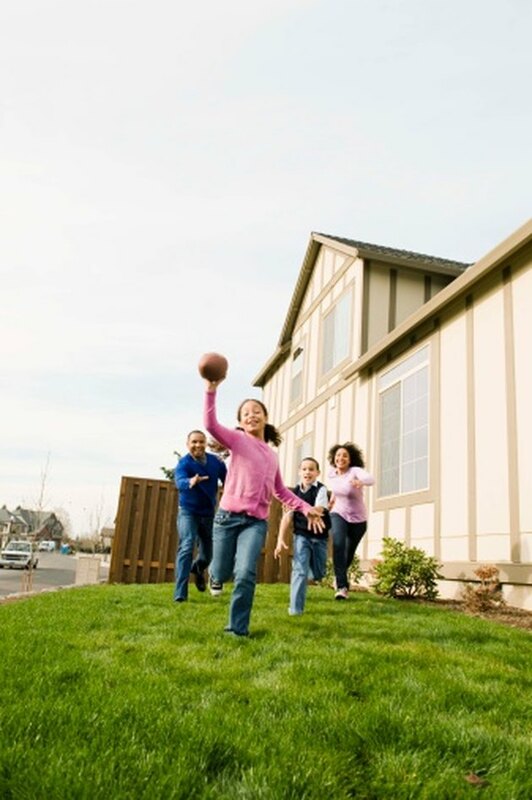 Children develop speed and agility at an early age, when they chase their friends or their family pet around the yard. Children's speed and agility training programs should be developed in age-appropriate stages. National Strength and Conditioning Association exercise specialists suggest that children between the ages of 5 and 8 should be exposed to a variety of movement patterns, which include arm and leg movements performed from a stationary position, jumping moves and exercise that promote spatial awareness. Skill mastery is enhanced between ages 9 and 13. Exercises that involve running through a maze of cones, moving in figure eight patterns and jumping and landing in a controlled manner are suitable for young teenagers, age 13 to 16. Agility and speed require a repertoire of what conditioning coach Vern Gambetta calls "coordinative abilities." He outlines these abilities in an article on the Brian Mac Sports Coach website. Balance is essential to agility. Some children first experience the laws of balance on the seesaw, when both partners lift their feet and balance the board at its midpoint. Spatial orientation, sometimes called proprioception, is developed through games such as pin the tail on the donkey. The ability to react to visual, auditory, and kinesthetic, or tactile, cues is an important aspect of agility. Games such as tag and games that require the child to respond to a whistle enhance this ability. Ending an auditory cue, which occurs in games such as musical chairs, also provides effective training. Children develop rhythmicity and movement synchronization by playing hand-clapping games and singing and dancing games. Speed and agility training enhance athleticism and make your child more likely to participate in sports. Sport participation promotes an appreciation for health and exercise, a sense of self-worth and interaction in a teamwork setting, explain Ryan Hedstrom and Daniel Gould, in a paper for the Institute for the Study of Youth Sports. Football is a sport that requires a considerable amount of speed and agility. The effect of football practice on motor development in 7- and 8-year-old boys was the subject of a study published in the "Journal of the School of Biological Anthropology." Lead author M. Erceg reported that a nine-month football training program improved cardiovascular endurance, speed, agility and flexibility in the 7-year-old boys and explosive strength, speed and coordination in the 8-year-old boys. Avoid forcing your child to perform training drills that are inappropriate for his level of development. Doing so may cause permanent injuries or make your child adverse to any type of physical activity. Experiment with different activities. The child who does not like to toss a ball may enjoy rhythmic musical activities.